We found the source! 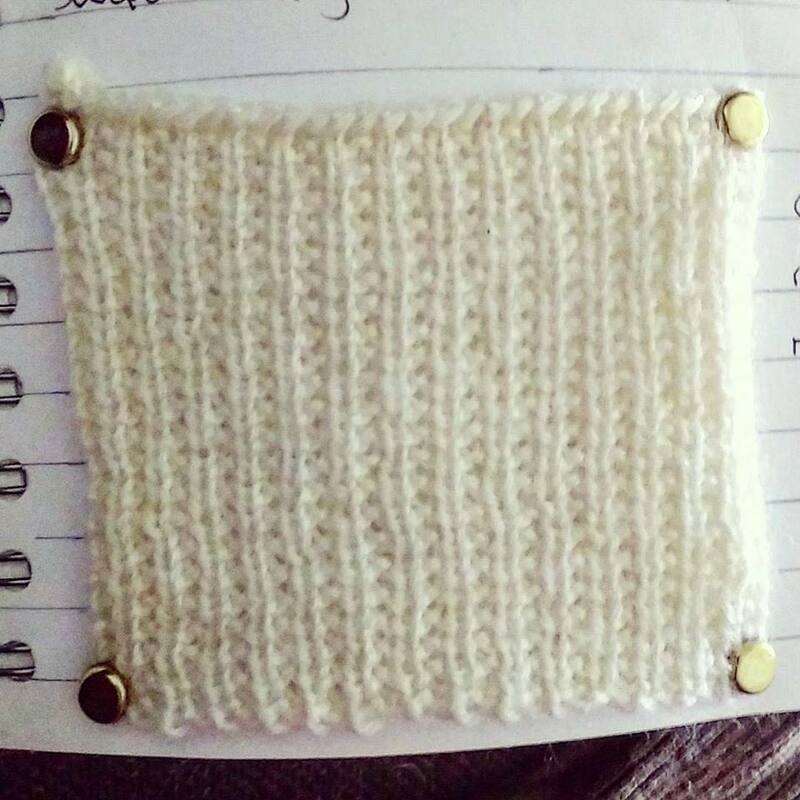 The original broken rib pattern (I mean obviously hence the name) Not long now soon we will be out of broken rib mania. 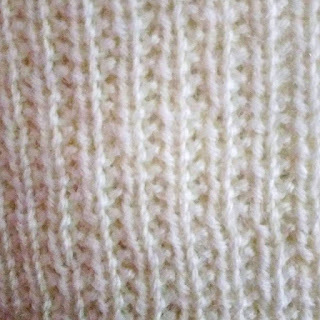 A very old stitch but still pretty popular works well on jumpers with ribbing at the hems as it continues the ribbing pattern but doesn't have as much stretch. 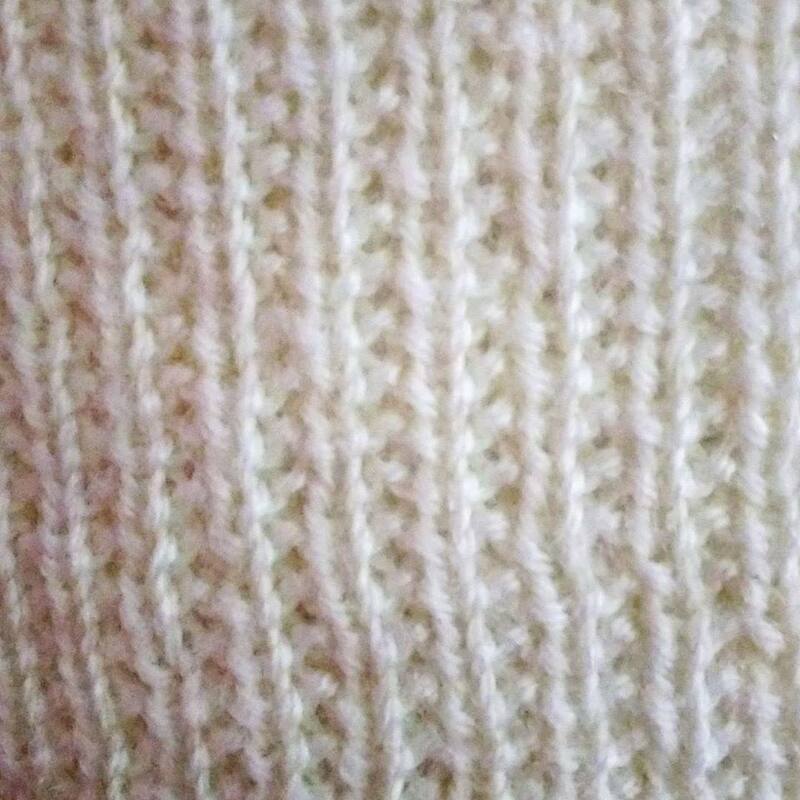 If you're going to use it as a continuation of ribbing for this version of broken rib you have to use it on 1x1 ribbing and make sure the knit stitches align. 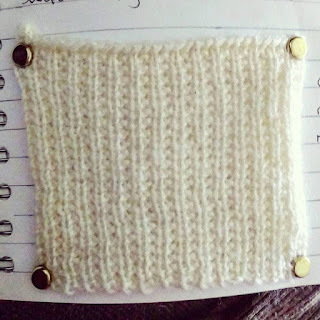 Double broken rib can be used for 2x2 ribbing but more on that later. In colour broken rib appears a lot more column-y than in Barbara's Black and white picture. Some of the images in the book look very different from the final colour result, this may be a quirk of the lighting that they were originally taken in. 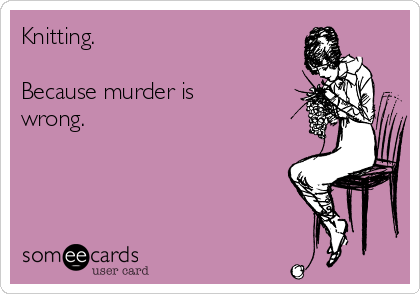 The columns themselves are also a lot more spread than in regular ribbing as the purl stitches are pulling the knit stitches apart more as they are more frequent than in regular ribbing. More on how purl and knit stitches pull on each other later.